Florida Is, Once Again, Retrying A Defendant Who Has Already Been Exonerated by DNA Evidence—What Does This Say About Our Justice System? We have previously discussed the issue of prosecutors deciding to prosecute innocent individuals in spite of evidence to the contrary, and the wrongful convictions that can result from this misconduct. This issue was recently highlighted in the trial of Paul Hildwin, whose death sentence was reversed and capital conviction overturned when DNA evidence linking someone else to the crime was discovered in 2014. According to reports, prosecutors are now still planning on moving forward in trying him again, as we discuss below. 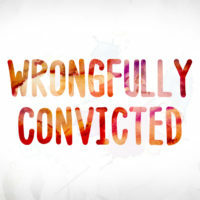 Like many other stories of innocents who serve decades in prison after being wrongfully convicted, Hildwin’s story is connected to police failing to follow up on provided tips and evidence connected to those who were actually eventually linked to the crime via DNA evidence. In addition, the trial judge in his 1985 and 1986 trials fail to ensure that Hildwin had adequate legal representation and consistently rejected requests from Hildwin’s attorney to obtain the information he was entitled to from prosecutors. This included blood evidence that we now know was false based upon new DNA testing that has since overturned Hildwin’s conviction; blood evidence that was introduced even though Hildwin and his attorney had never been informed of its existence. This “perfect storm“ of deceit kept Hildwin in prison for more than a third of a century, and his tragedy arguably goes beyond even the most harrowing stories of prosecutorial misconduct. Sadly, the reviewing courts in Florida are of very little use when it comes to granting relief to innocent victims who have been wrongfully convicted, even in the face of exonerating DNA evidence. When they review convictions, rarely do any of the cases issues – or the mistakes made – ever matter in any way. Perhaps most surprisingly, in spite of all of the evidence indicating that Hildwin is innocent, prosecutors are still now moving forward with another capital trial against him. According to reports, prosecutors plan on doing this by rereading old, outdated, and now inaccurate testimony from the first trial into the new trial. There is no question that if the judge accepts the premise of this new trial, he will be incorporating all of the constitutional flaws of the first trial. There is simply too much unchecked corruption in Florida when it comes to prosecutorial misconduct and the risk of wrongful conviction to take any risks when it comes to the legal defense of you or a loved one. If you are dealing with criminal charges, contact our experienced Orlando criminal defense attorneys at the Baez Law Firm today to find out how we can help.